Artificial light at night isn’t just a health problem for those of us sitting in bed scrolling through Instagram instead of hitting the sack. It hurts entire outdoor ecosystems. When the critters that live in and around streams and wetlands are settling into their nighttime routines, streetlights and other sources of illumination filter down through the trees and into their habitat, monkeying with the normal state of affairs, according to new research from The Ohio State University. “This is among the first studies to show that light at night has detrimental effects not just on individual organisms in the environment, but also on communities and ecosystems,” said Mažeika Sullivan, lead author of the study, which appeared Dec. 19, 2018, in the journal Ecological Applications. 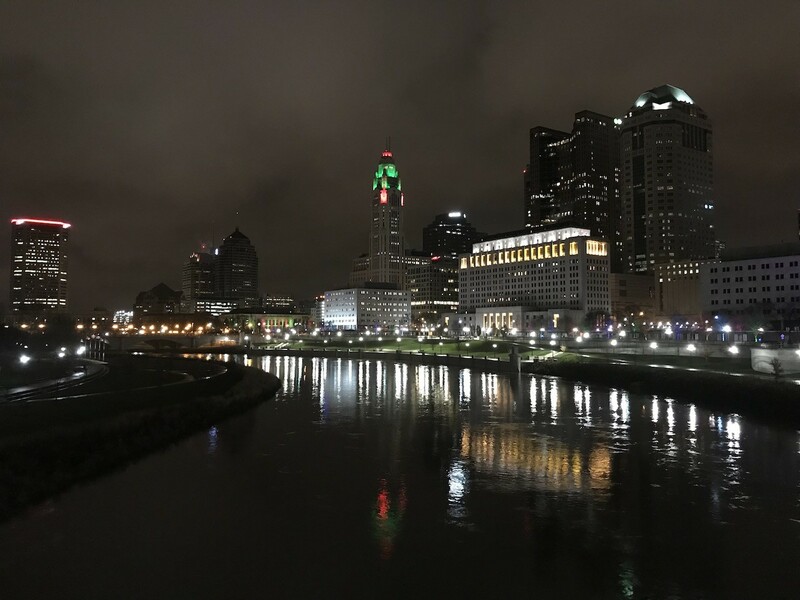 “Nighttime light is having profound impacts that extend to the entire ecosystem,” said Sullivan, director of Ohio State’s Wilma H. Schiermeier Olentangy River Wetland Research Park and associate professor in the School of Environment and Natural Resources at the College of Food, Agricultural, and Environmental Sciences. Though many people might not consider it, artificial light is a pollutant, changing the natural course of life for people, animals, and plants, he said, adding that urbanization is rapidly increasing both in the United States and around the globe. The new study explored the role of light on streams and wetlands in and around Columbus. Moonlight under a clear sky can give an illuminance of 0.1 to 0.3 lux, Sullivan said. The streams in the study were headwater streams draining into the Scioto and Olentangy rivers, with light ranging from 0.01 to 4.0 lux. Wetlands of the Olentangy River Wetland Research Park had lighting from 0 to 20 lux. The research team examined the effect of existing artificial light in streams, and they manipulated the light in wetlands. In all cases, there was a canopy of trees and other vegetation overhead, buffering the light. From those areas, they collected a variety of ubiquitous water-dwelling and land-dwelling invertebrate species, including mayflies, water bugs, ants, and spiders. They found that species composition changed with increases in light intensity. They also discovered that the food chain length of the invertebrate communities—a measure that tells researchers about the complexity of a food web—shortened with more light. 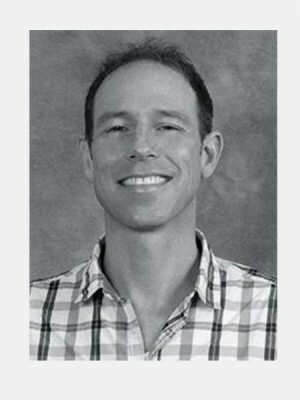 “Decreases in food chain length are a pretty big deal, as it reflects not just changes in the architecture of an ecosystem—the numbers of various species—but also shifts in ecosystem stability and nutrient flows,” Sullivan said. The researchers also saw detrimental changes in energy flow: how nutrients are cycled between aquatic and nearby ecosystems. In particular, invertebrates became less reliant on food sources that originate in the water when they were exposed to moderate light levels. Artificial light filtering down onto streams and wetlands, such as this one near Ohio State, interfere with ecosystem health, a new study has found. The reasons for the changes are complex, and could include such factors as an increase in predators attracted to a lit area at night, which decreases the population of their prey, or even shifts in plant growth, Sullivan said. Previous studies have clearly shown that individual species are impacted by artificial light. But until now, scientists haven’t fully detailed the broader implications: how light might affect species interactions, communities, and important ecosystem functions. “One of the neatest parts about this research is that we scaled up and said, ‘What does it mean for the entire community and ecosystem?’” Sullivan said. Going forward, Sullivan would like to explore larger ecosystem-level questions, such as how light’s effects contribute to fish and bird populations and to water quality. 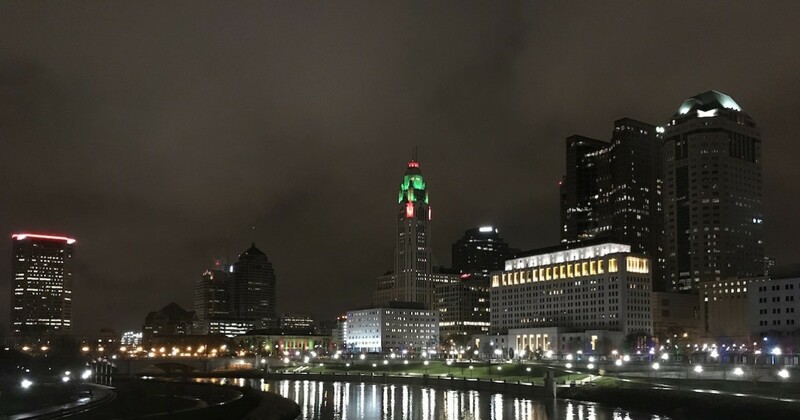 Work in this area will continue with a new $600,000 grant from the Ohio Department of Transportation, which is looking for ways to better understand how roadway lighting interacts with the environment, Sullivan said. A particular focus will be the role of LED lights, which are replacing many halogen lights in the interest of energy conservation. Interventions such as carefully directing light, using motion sensors to activate lights only when they’re needed, and dimming lighting during times when human activity is minimal could all have the potential to buffer the effects of lighting near wildlife, Sullivan said. Thinking about what types of lights are being used could also be important, he said. Lars Meyer of Ohio State and Katie Hossler, now of Wright State University, also worked on the study.